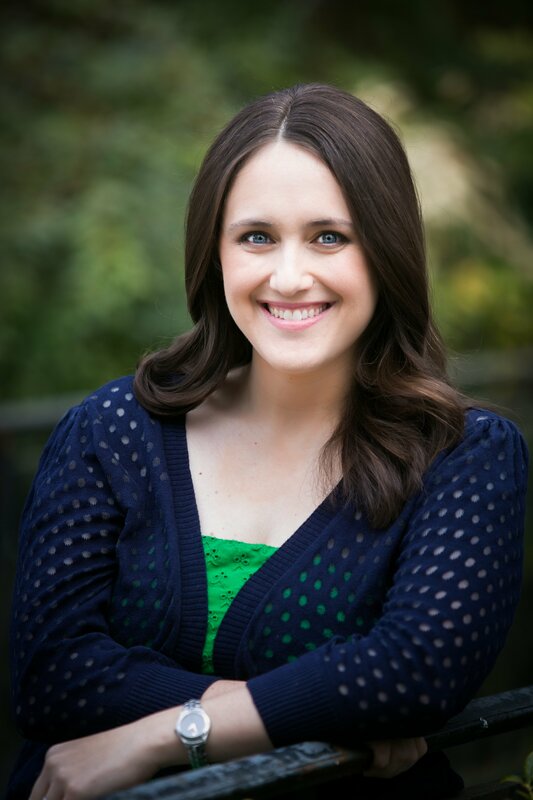 Becky Albertalli on SIMON, her Reality-T.V. Superpower, & Swag! I will admit it takes a lot to woo me with contemporary young adult literature — but woo me Simon did. There’s something so earnest about this book, and the characters in it, and while I figured out who the mysterious “Blue” was fairly early on, I still couldn’t wait to see how it all played out. I laughed out loud, cried a little, and appreciated the diverse cast of characters Becky created — and the whole time I was cheering, hoping Simon would get his happy ever after. I loved this book, in case you couldn’t tell, and all the great press Becky is getting (like a starred Kirkus review) for Simon vs. is much deserved. No question: my two-year-old’s conversations with himself during his naptime, overheard on the baby monitor. Lately, he’s been flinging his stuffed animals off the bed and then chastising them (“Elmo, that’s dangerish!”). Also: Making dirty words by combining elements in the Periodic Table. And the scene in The Office where Dwight Schrute explains why his dentist is named Crentist. My superpower is the ability to predict, with near-perfect accuracy, the order in which contestants will be called to receive their roses on The Bachelor and The Bachelorette. I think the hardest thing about this job for me is how public it is. I am pretty cool about strangers and new friends reading my book, but I’m still completely terrified every time one of my family members or non-writer friends picks it up. It’s the first time I’ve ever had a job where every person in the world who wants to can evaluate my performance. And there’s so much of me in Simon. It’s like turning over my high school journals to every friend, family member, employer, client, acquaintance, and crush I’ve ever had. The easiest thing about this job is probably the fact that I can do much of it in my pajamas while stuffing my face with Oreos. But the best part about this job has absolutely been getting to be a part of this community. I can’t tell you how lucky I feel to have met so many incredible people over the last year and a half: readers, bloggers, publishing pros, librarians, booksellers, and fellow writers! Every single day, people blow me away with their kindness and generosity – and, already, I count some of them among my best friends in the universe. I think my self-proclaimed hipster dad saw a lot of himself in Simon’s dad. He read the ARC a few months ago, and he declared that the dad was “an accurate, though somewhat unflattering portrayal.” He’s not entirely wrong, and Simon’s dad isn’t perfect – but so far, I think most readers have recognized Simon’s dad as a pretty awesome guy. My hipster dad is a pretty awesome guy, too. Simon’s going to kill me for telling you this. Valentine’s Day. Simon was ten years old, and his twelve-year-old sister Alice was hosting a coed party in the basement. Clearly, Simon and his best friend Nick had a responsibility to ambush said party with high-powered water guns. And clearly, Simon felt it would be necessary to create absorbent armor in the event of a counterattack. To this aim, Simon stole a brand-new Costco-sized box of Alice’s thick sanitary napkins – which he and Nick then proceeded to stick to their clothes, achieving close to full coverage. They didn’t forget hats. Alice intercepted them on the stairway, and dragged them to their parents’ room, where Simon and Nick were educated about the menstrual cycle. Simon, Nick, and Alice agreed never to mention the incident again. Thank you Becky for stopping by! GIVEAWAY: Comment on this post by Noon (EST) on Friday, April 17th to win some awesome SIMON VS. THE HOMO SAPIENS AGENDA swag (two giveaways up for grabs, with a signed bookplate, bookmark, and a sweet surprise! North American only). Follow The Debutante Ball on Facebook and Twitter for extra entries—just mention that you did so in your comments. We’ll choose and contact the winner on Friday. Good luck! Becky Albertalli is a clinical psychologist who has had the privilege of conducting therapy with dozens of smart, weird, irresistible teenagers. She also served for seven years as co-leader of a support group for gender nonconforming children in Washington, DC. These days, she lives in Atlanta with her husband and two sons, and writes very nerdy contemporary young adult fiction. Her debut novel, SIMON VS. 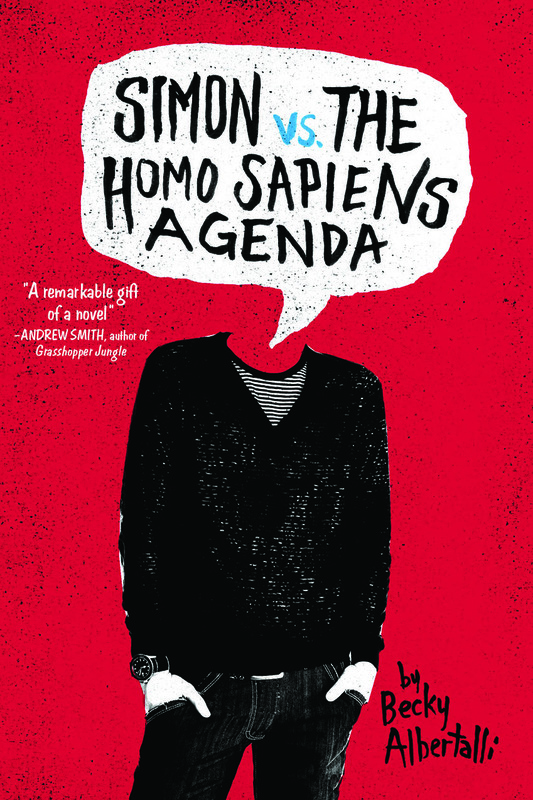 THE HOMO SAPIENS AGENDA, releases from Balzer + Bray/HarperCollins on April 7th, 2015. Visit her website, find her on Goodreads, or send her a tweet. Hahaha, that’s awesome about them using “absorbent armor.” I can totally picture Simon and Nick doing that. Or any boy with water guns, really. I also followed/liked on Facebook (Rayna Perry) and Twitter (@Rainkitten).